Posted on 29, August 2016 by EuropaWire PR Editors | This entry was posted in Education, Healthcare, Science, United Kingdom and tagged cigarettes, Dr Jacob George, electronic cigarettes, Mike Knapton, University of Dundee. Bookmark the permalink. DUNDEE, 29-Aug-2016 — /EuropaWire/ — Electronic cigarettes and the habit of vaping are being used by more and more people to help them stop smoking, but are they actually safer or less bad for our health than traditional cigarettes? Smokers in Tayside are being asked to help answer this vital question by taking part in a new study being launched by the University of Dundee which will compare the effects of e-cigarettes and tobacco cigarettes on blood vessel function, which is a key health indicator. 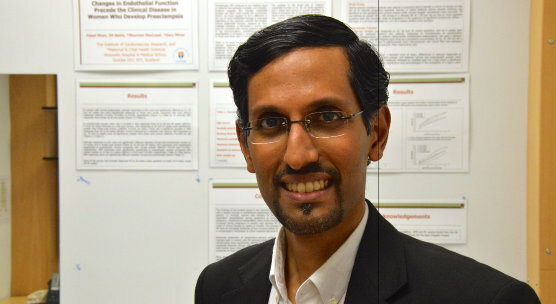 “E-cigarettes are sold on the principle that they are a much safer alternative to traditional cigarettes because they don’t contain harmful substances like tobacco and tar,” said Dr Jacob George, from the University’s School of Medicine, who is leading the VESUVIUS study. The study is funded by the British Heart Foundation. “However, many e-cigarettes contain nicotine, which may be harmful to blood vessels itself. Mike Knapton, Associate Medical Director at BHF, which is funding the research, said: “Nearly one in five adults in the UK smokes and we know that an increasing number of people are turning to e-cigarettes to help them quit. “This shows the fundamental importance of this unique study which intends to shine a light on the risks associated with the use of e-cigarettes and whether they are in fact a safer alternative. The study is looking to recruit 135 patient volunteers, aged 18 years and over and who have smoked 15 cigarettes a day for a minimum of two years and are prepared, if randomly allocated, to switch their regular cigarettes to e-cigarettes for one month. Volunteers will be asked to make two visits to Ninewells Hospital, 28 days apart. Each visit would take place in the morning and should be completed within around two hours. Participants will be randomized into one of three groups, either continuing with tobacco cigarettes, switching to electronic cigarettes containing nicotine plus flavour, or switching to electronic cigarettes containing flavour alone. People with a history of cardiovascular disease, women who are pregnant or breast feeding and anyone with a nut allergy cannot take part in the study.